The delightfully odd members of The Addams Family are making their way across America in the musical’s first national tour, and Broadway.com has your first look at the gothic dynasty. Broadway vets Douglas Sills and Sarah Gettelfinger head up the family as patriarch Gomez and matriarch Morticia—two parents deeply concerned for their daughter Wednesday (Cortney Wolfson). When Wednesday invites her boyfriend’s family to the Addams mansion to meet the parents, the haunted house is turned upside down by change. 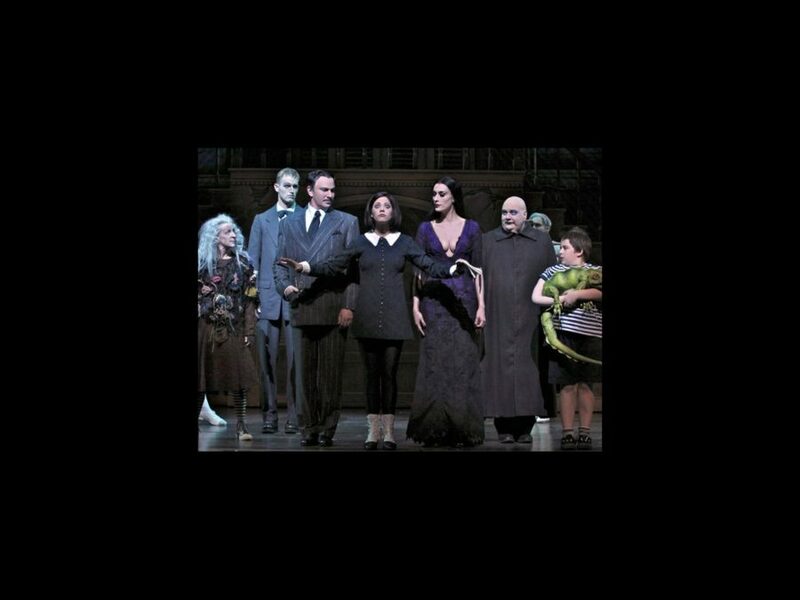 The cast features Blake Hammond as Uncle Fester, Pippa Pearthree as Grandma and Patrick D. Kennedy as Pugsley. Be sure to catch this hilarious family reunion in a city near you.